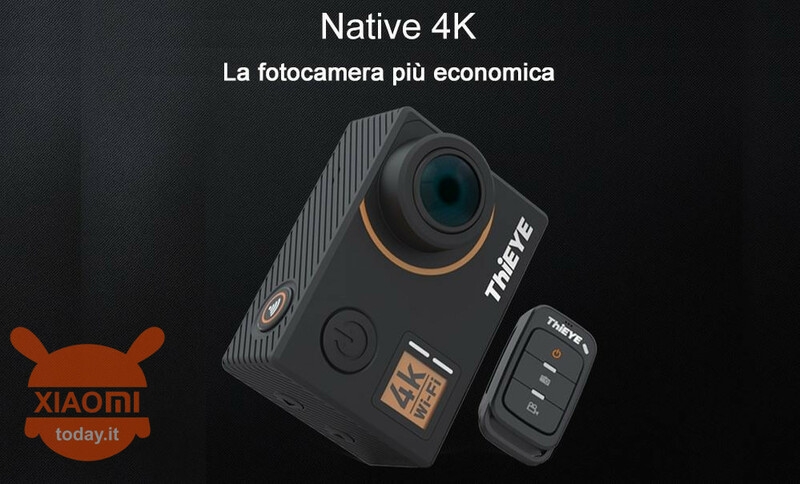 ThiEYE T5 is an excellent action cam, with features that do not leave indifferent. Available, thanks to our coupon, at an exceptional price. The iCatch V50 chipset and the IMX117 sensor give T5e excellent video quality (up to 4K to 30fps). The extraordinary viewing angle of 170 degrees ensures wide and panoramic shots, while the electronic image stabilization prevents flicker and flicker. The 4 Mpx sensor offers excellent shots in single shooting mode, self-timer, photo burst and time Lapse. The 2 screen "allows you to set up your cam quickly and easily, while WiFi features through the app allow remote playback and on-the-fly editing. The package also contains an additional 1100mAh battery and a pack of accessories, including the waterproof case.